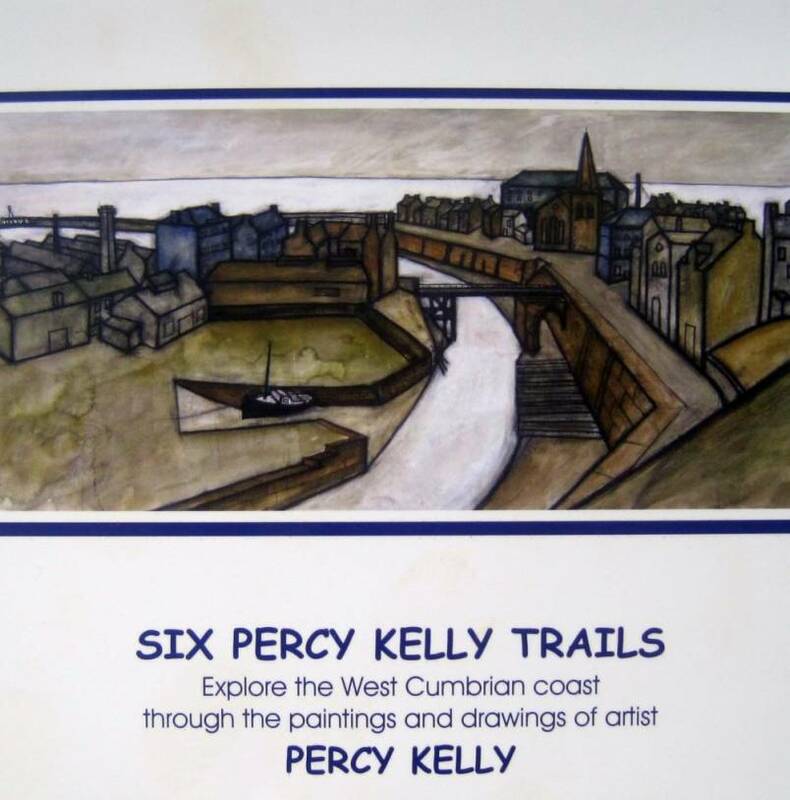 By the mid sixties Kelly was focusing on Parton, Moresby and Whitehaven because he had attracted the interest of Sir Nicholas Sekers (and his family) an industrialist and founder of Rosehill Theatre who lived in nearby Moresby. Kelly suddenly found himself part of the social scene. His yellow MG was often seen in the area. Sir Nicolas’ daughter Christine and her French husband Jean Beaudrand loaned him an outhouse at Roseneath to use as a studio. Parton has had mixed fortunes over the years. 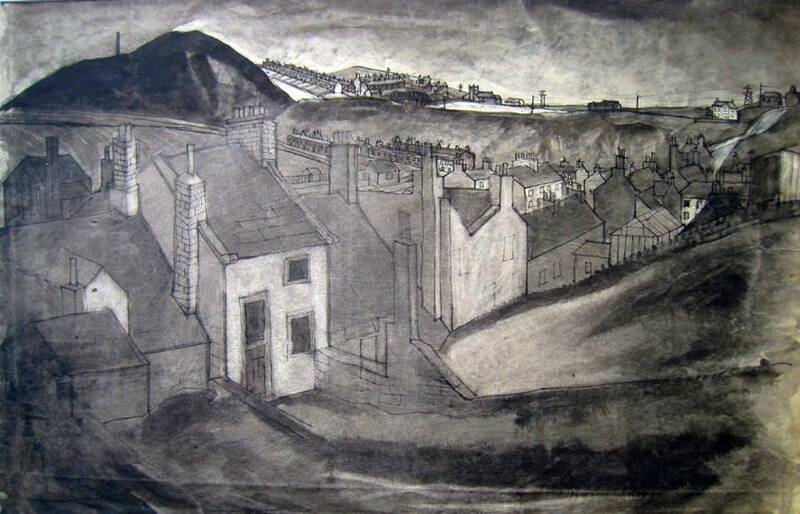 It prospered for decades on its glassworks, tannery and brewery followed by the coal mine and iron foundries - particularly Lowca engineering founded in 1800 which made the first locomotive for the new railway line from Carlisle to Maryport. It prospered even more when the railway was extended south. Its decline was gradual. 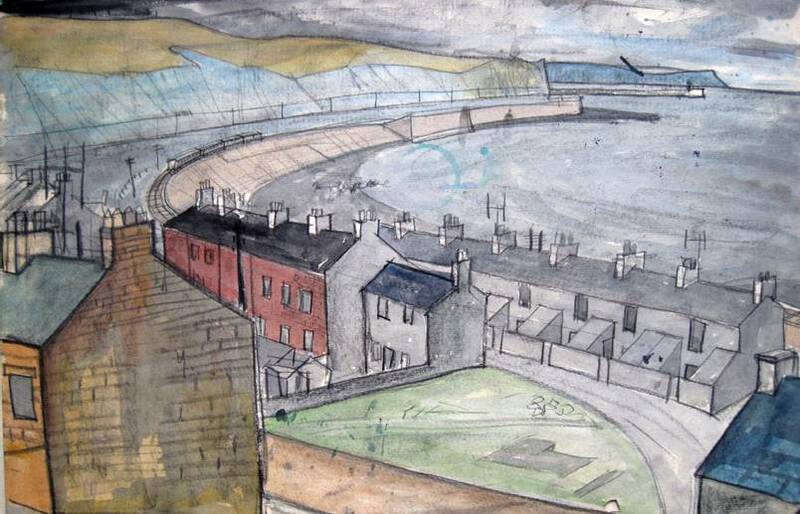 First to go was the harbour which was not as sheltered as Whitehaven and was destroyed in a storm in 1795. Later the pits closed one by one and by the depression in the thirties Parton was no more than a forgotten and neglected dormitory village. 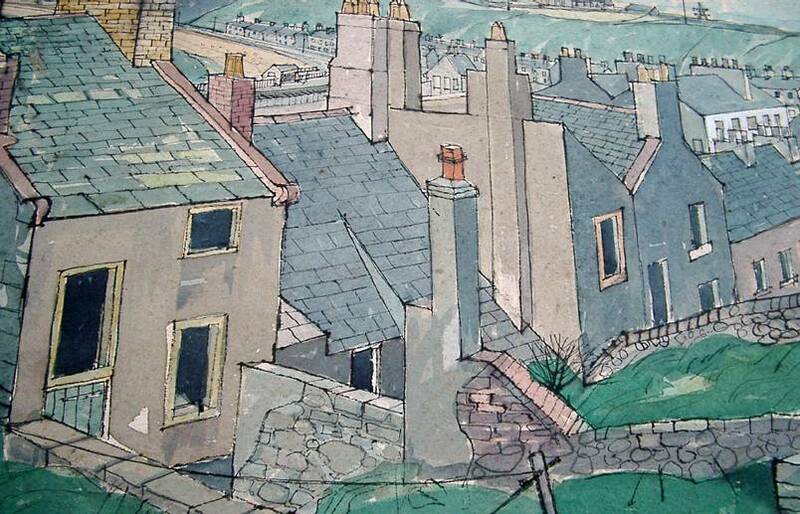 In a rare interview for the BBC for the opening of an exhibition of some of his Parton drawings in 1964, Kelly said there was an urgency in drawing and painting the village because it was disappearing as he worked. In fact the council were demolishing a lot of the old houses which were unfit for habitation and relocating people to the new housing estate on top of the hill. The people of Parton have proved themselves resilient to withstand all these changes. 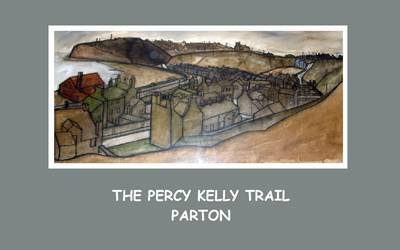 Buy the Parton Trail online »» Available as a PDF download.